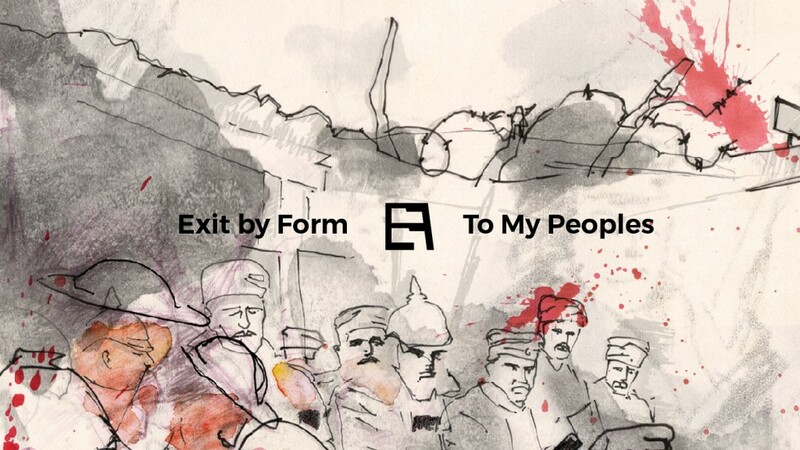 “To My Peoples” – OUT NOW | Exit by Form | Heavy Alternative Rock band with a sepia-toned twist. Our new album “To My Peoples“* is released today worldwide through all major online record stores and streaming platforms. The album includes 9 songs about fear, despair, ambiguity and surrender that mark our sonically most challenging effort to date. Countless sessions, restless reviews and endless progress-bar watches. Needless to say how proud we are about this. Have a listen and let us know how YOU feel about this. Buy “To My Peoples” on iTunes, Amazon, Google Play Music and many more. Stream it here and on Spotify and on all other major platforms. * If there is one document that can be regarded as the “foundation deed” for the First World War, it is the Austrian Imperial Manifesto “To My Peoples!” of July, 28th 1914. This announcement was printed in countless variations throughout the Empire and released in all 9 official languages. Previous post “To My Peoples” – studio sessions over and out.